Since its airing last month, the controversial Lifetime documentary series, "Surviving R. Kelly," has seen the #MeToo movement catch up with a global superstar. 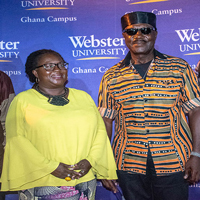 In light of this development, Webster University Ghana Campus held a public lecture entitled "Celebrity, Complicity and Community: Making Sense of ‘Surviving R Kelly.’" A panel of three Webster University lecturers at the Ghana campus explored the themes presented. Tate Foley's "In Shadows" is on view through Feb. 9 at the Bolivar Gallery at the University of Kentucky. 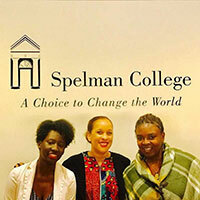 ... Kim McGrath presented “Women in Leadership: Candid Conversations with Positive Disruptors,” at the AIEA conference. 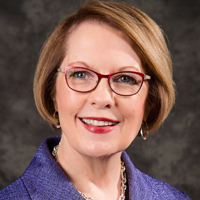 ... Linda Woolf presented at the 41st Annual National Institute on the Teaching of Psychology. 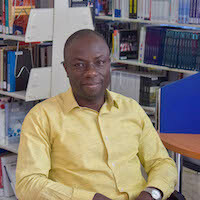 ... Webster Ghana librarian Ernest Boakye a case study in the Library Philosophy and Practice Journal. 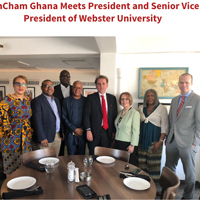 President Beth Stroble discusses her recent Ghana campus and global strategy with Don Marsh for "St. Louis On the Air" today at noon. 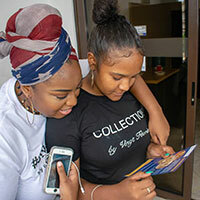 ... Nurse Anesthesia student India Johnson's interview by FOX 2/KPLR 11 reporter Shirley Washington about a homeless outreach program will air Saturday at 7 p.m. on Channel 11 and be posted online Monday. 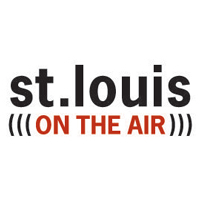 ... Eric Rothenbuhler and Jennifer Starkey were in Joe Holleman's column after they were named president and vice president, respectively, of the St. Louis Media History Foundation. 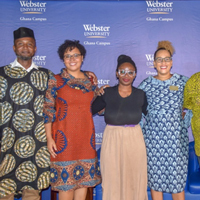 Webster University Ghana on Oct. 11 held a public lecture on the theme, “the Role of Creative Arts in Africa’s Development: The Case of Music, Film and Photography." 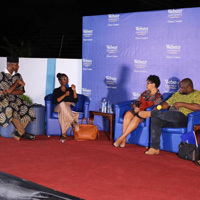 The lecture was the eleventh in the series, as part of the university’s contribution to the intellectual development of society. 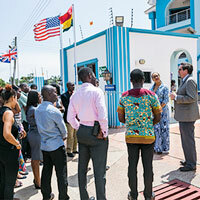 Webster University Ghana has inaugurated a new Success Center for students. 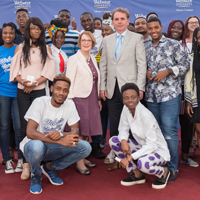 Coordinator of the Success Center, Angela Baxter, an adjunct professor at Webster University Ghana, described the Success Center as an extension of the classroom; the Success Center is designed to support students in every aspect of their academic development.